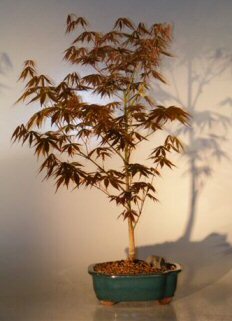 This Japanese Maple Bonsai tree has red leaves deeply cut like the your palm. 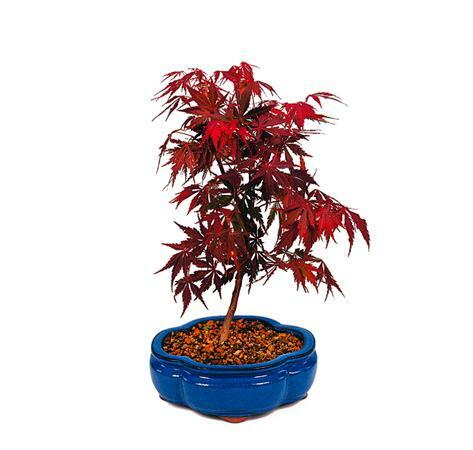 The beautiful 4 - 14 year old outdoor Japanese Red Maple Bonsai is on sale here at the best possible discount online sales price. Suitable humidity/drip tray is recommended.